iNautia.com offers you the widest range of boat rentals in the market with a variety of destinations so you can enjoy a different type of holiday. 232 catamarans sailboat to rent, with or without a skipper. Select the start date and the duration of the rental in the search box, and choose the boat that best suits your needs. Lagoon 380 11.5 m from Length 8 m from Places. LAGOON 560 17.78 m from Length 10 m from Places. Bali 4.1 Nuevo 2019 12.5 m from Length 11 m from Places. Lagoon 450 13.96 m from Length 12 m from Places. Lagoon 380 11.55 m from Length 11 m from Places. Lagoon 40 11.97 m from Length 8 m from Places. Lucia 40 -version propietario NUEVO 2018 11.74 m from Length 6 m from Places. Lagoon 38 11.55 m from Length 9 m from Places. Nautitech 395 11.98 m from Length 9 m from Places. 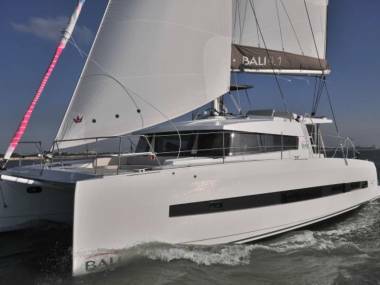 Saona 47 -NUEVO 2018 -version de lujo 13.94 m from Length 11 m from Places. 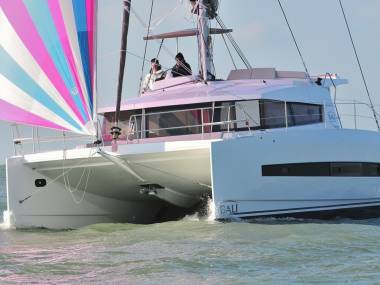 Fountaine Pajot Helia 44 13.3 m from Length 6 m from Places. Lagoon 400 12 m from Length 12 m from Places. Sunreef Supreme 68 Sail 20.05 m from Length 8 m from Places. Bali 4.5 13.6 m from Length 8 m from Places.